Green building has been a steadily growing trend in construction and building technologies. This trend is significantly changing the industry. One reason that it has had such a profound effect is the sheer number of benefits sustainable building practices bring to the construction and building technologies industries. Green building practices conserve water and energy, which ultimately make the build-ing project more cost-efficient. Moreover, the building itself will be more cost efficient. For example, if the windows, doors, and walls have better insulation, monthly energy costs will be less. Green buildings will also save you on maintenance costs. According to U.S. Green Building Council, buildings that are LEED-certified save $715.2 million in maintenance in total each year. Some people avoid sustainable building materials because they think they cost more money. Even if the cost more in the short-term, they usually save you money in the long-term. The materials typically last longer so you end up spending less on repairs and replacements. Another reason that customers in the construction industry prefer green buildings is that green practices improve air quality. Typically, with sustainable construction practices, you end up using fewer harsh chemicals and other pollutants. Many of the pollutants have a negative effect on global climate change, so sustainable building is one thing you can do to lessen the impact you have on the environment. Plus, with so many families out there that have members with allergy or asthma-related problems, cleaner air can be a real selling point. Green buildings are in high demand for businesses because they create a better environment for employees and clients. With green buildings it is easier to keep the temperature and lighting at comfortable levels. This, along with the cleaner air, helps keep employees healthier and more attentive. It will also attract clients because there are a lot of environmentally conscientious people out there who will choose a business solely on their carbon footprint. 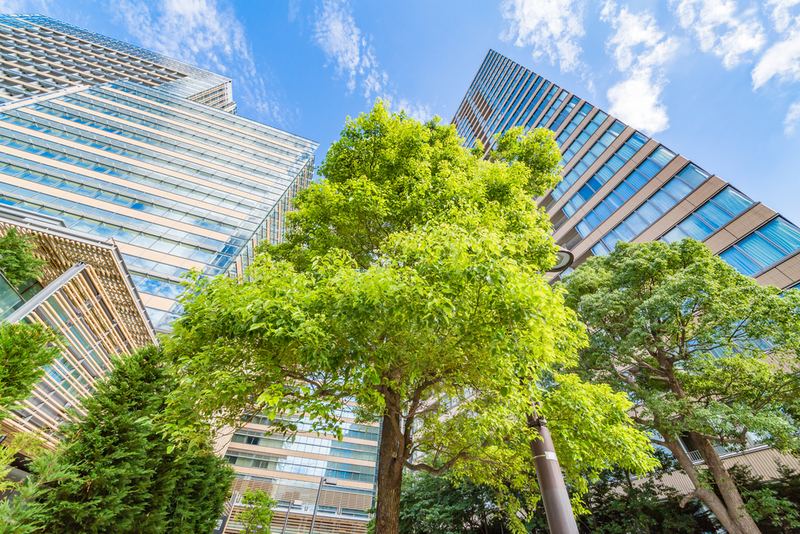 Green building also improves resale value, which is a major benefit for businesses who have plans to either upgrade or downsize in the future. Environmentalism has become a staple in a lot of company mission statements, so the trend is here to stay. Businesses will want to live up to their claims and opting for green buildings is the best way to do this, as green building typically use substantially less resources and are thus much better for the environment.